Tribeca Advanced Dentistry – located in downtown New York – specializes in complex restorative dental care, implant dentistry, and aesthetic (cosmetic) dentistry. 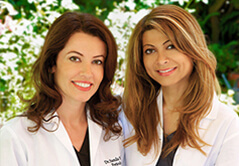 Led by prosthodontist Dr. Olga Malkin, Tribeca Advanced Dentistry strives to provide not only excellent quality dental care but also excellent overall patient experience. By utilizing innovative techniques, such as our Teeth-In-A-Day procedure, which allows for a fully functional and aesthetically improved dental implant restoration in just one visit, our practice stands in the forefront of the latest developments of the implant and aesthetic dentistry. Levitra is a very effective drug for ED. Now I buy Levitra online in small dosages of 5 or 10 mg. Doctors usually prescribe regular intake of the drug. It is best to take Levitra in the evening on an empty stomach. In the case of side effects you should take it after a meal. 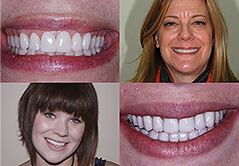 From complex restorative cases such as full mouth cosmetic rehabilitation and implant restorations to denture conversion and porcelain veneers, Tribeca Advanced Dentistry strives to utilize the most current industry techniques and technology such as comprehensive 3D software imaging, guided implant surgery, and immediate load dental implant techniques. Our office is fully digital, with comfortable dental chairs equipped with screens where patients can watch their favorite Netflix movies or listen to music on Pandora radio. We also provide free high-speed Wi-Fi throughout our downtown New York office, all to ensure that our patients are as comfortable as possible during their appointment. Why we use Nobel Biocare dental implants? It is true that the success of dental implants depends largely on your general and oral health, jawbone density and the expertise of your prosthodontist. 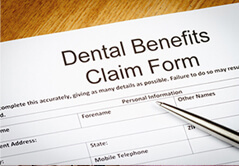 At the same time the dental implant manufacturer chosen by your dentist also contributes to the longevity of your implants not to mention the aesthetic results. There are many dental practices in New York who place dental implants from many other manufacturers, so why do we prefer Nobel Biocare?